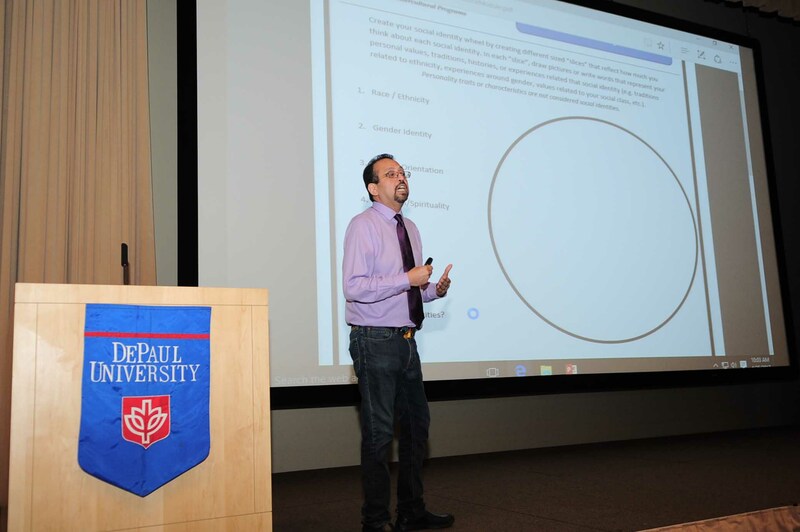 Lew Medellin from Options for Youth gives keynote address at DePaul University’s Male Initiative meeting.This year’s theme was “My Life Matters.” Lew’s talk focused on breaking down the myths on how they, young minority males, are perceived by others. Here Lew has participants do an identity wheel and then stand and tell everyone what they want people to know about them. It ended with a challenge to take that information and make a change in how they are viewed in their community. CHICAGO, ILLINOIS (June 15, 2015) – The City of Chicago’s Department of Family and Support Services has selected Options for Youth as a partner agency to participate in One Summer Chicago’s Youth Employment Program (SYEP). The program will take place over a six week period starting in late June. Training and employment experience will be provided to 75 young people, both male and female, ages 16-24 at two worksite locations: Options for Youth in Hyde Park and Little Village High School in South Lawndale. The overarching goal of Options for Youth’s Summer Youth Employment Program will be to provide a meaningful and substantive work experience in the field of health education to adolescents in the Chicago community. Under the tutelage of experienced peer health educators a few years their senior, participants will learn both content and presentation skills that will allow them to return to their communities and provide healthy lifestyle information to their peers. During the six week program period, each SYEP participant will become an employee of Options for Youth, a nonprofit organization focusing on creating opportunities for vulnerable adolescents. The program will focus exclusively on health careers and will be designed to: 1) provide job skills, communication improved job readiness and increased financial literacy; 2) provide life skills training and increase knowledge of healthy lifestyle choices; and 3) provide a personal introduction to a wide variety of health professions. Options for Youth’s mission is to expand opportunities for underserved youth in the Greater Chicago Area by developing programs that build upon the strengths and maximize the potential of each young person. Options for Youth achieves this mission through two main programs- The Peer Advocates for Health Program and the Illinois Subsequent Pregnancy Program. The Peer Advocates for Health program provides direct services to young men each year through summer training and weekly group meetings throughout the school year. After six months of intense training, participants are paid to work in their own schools and communities as Peer Advocates for Health, providing information and serving as role models. Since 2000, 240 Peer Advocates from 42 high schools have received training. Significant increases in reproductive health knowledge, improvements in lifestyle choices, and use of clinic services for male health have been reported among young men participating in PAH. The Illinois Subsequent Pregnancy Program (ISPP) serves one of the most vulnerable populations of young girls, those who already have a baby before the age of 18. ISPP is one of the few programs that focuses upon delaying a second pregnancy among teen mothers. Through intense training coupled with home visiting services, ISPP impacts the lives of these young mothers, their babies, and their broader communities by providing information, knowledge, and ongoing individual support. Among the 5,000 first-time adolescent mothers from 50 communities who have participated in ISPP, 97% delayed a second pregnancy while in the program and 90% graduate from high school each year. 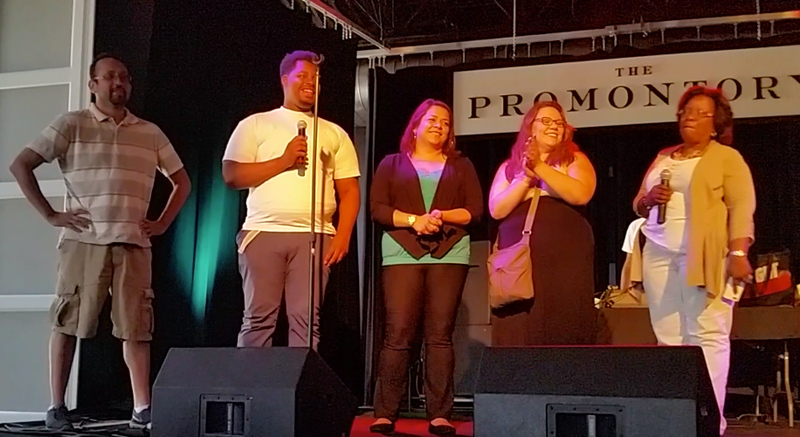 Through One Summer Chicago, youth complete six or more weeks of work or career programming, contributing their skills and talents to Chicago’s vibrant communities. Each year, City and County public agencies leverage their resources to provide the maximum number of high-quality work experiences for youth. The Department of Family and Support Services leads One Summer Chicago in partnership with participating agencies including: Office of the City Treasurer, Chicago Department of Transportation, Chicago Park District, Chicago Public Schools, Chicago Housing Authority, After School Matters, Forest Preserves of Cook County, Brookfield Zoo, Chicago Public Libraries, City Colleges of Chicago, Chicago Cook Workforce Partnership, and Mayor’s Office of People with Disabilities.